Live! at the Museum presents SAKURA Cello Quintet on Thursday March 14 at 7pm — Laguna Beach Live! 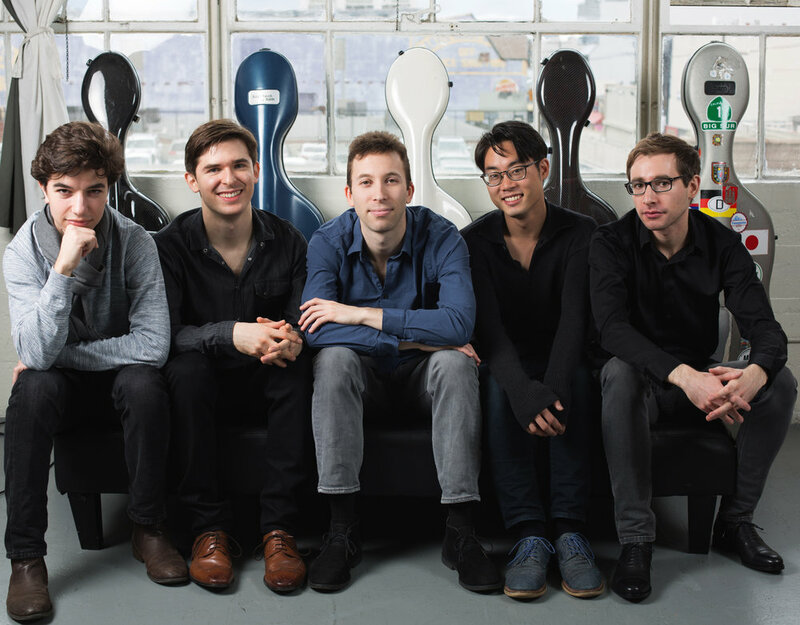 A unique and versatile cello quintet, SAKURA is built on the artistry and virtuosity of its members: Michael Kaufman, Benjamin Lash, Gabriel Martins, Yoshika Masuda, and Peter Myers. SAKURA explores great music of the past through dazzling arrangements that offer fresh perspectives on familiar notes, and continually expands the five-cello repertoire into the future by commissioning new works. In the tradition of the great chamber ensembles, the quintet distills its interpretations through time, reveling in the pure sonic pleasure of a unified and colorful sound.